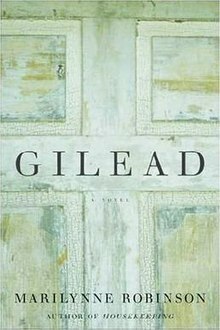 Gilead is technically an epistolary novel, though it doesn’t feel like one in the traditional sense. The conceit is that John Ames, a 76 year old reverend in the town of Gilead, Iowa, is recounting his life in a long, fairly digressive letter to his seven year old son. He also recounts the story of his grandfather, a one-eyed firebrand preacher whose vision of Jesus in chains drove him to the abolition movement during the civil war. This figure and his legacy is the focus of much of the early novel, but Ames’ attention eventually drifts to another figure, John Ames Boughton, his best friend’s prodigal son and his own namesake. The result is interesting, since Ames’ letter to his son become the means through which he examines and resolves his complicated feelings towards this divisive figure. The prose is elegant and believably voiced, containing the frequent digressions into scripture and ruminations on life and faith you’d expect from a man who’d spent most of his life writing sermons. This is a nice effect, as it allows Robinson to draw on rich symbolism in a manner that never feels forced. The book’s plot is slight, a meandering mix of past and present, which works for the overall subject matter. A larger denouement would likely have felt contrived. In all, I enjoyed the book and will likely pick up her previous novel at some point in the future.